regulate movement. 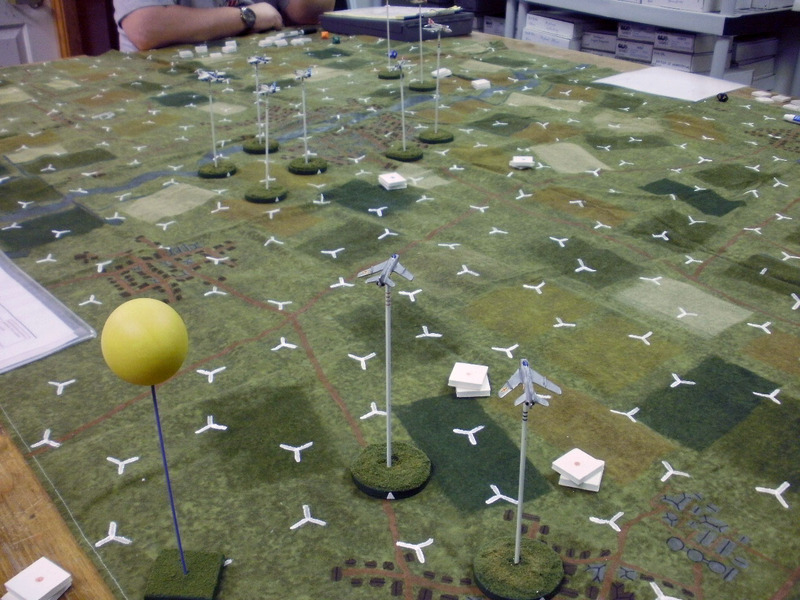 The rules are definitely suited for large group games and provide a lot of fun. 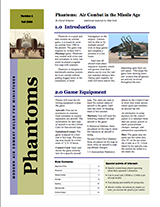 The rules are of medium complexity and can be downloaded for free by clicking on the Phantoms icon at the top of this column. 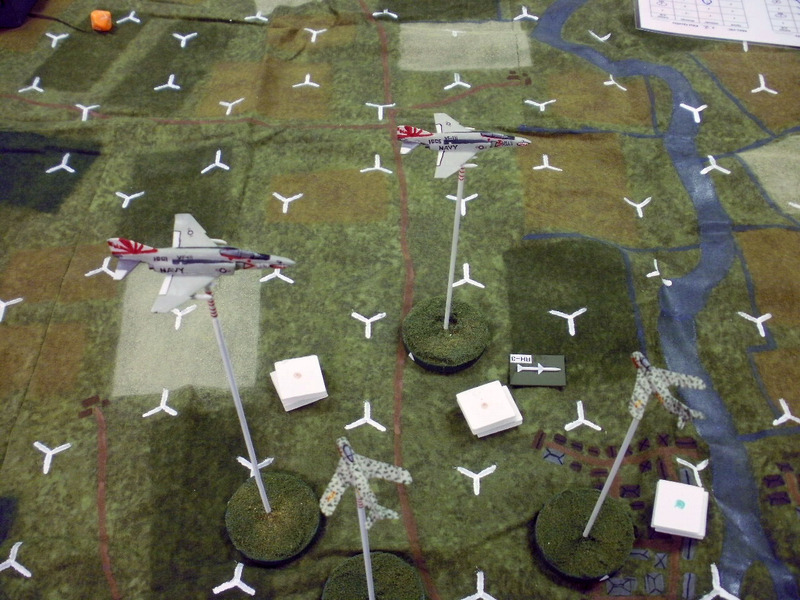 As a club we currently focus on the Vietnam and Korean conflicts for our modern air combat gaming. 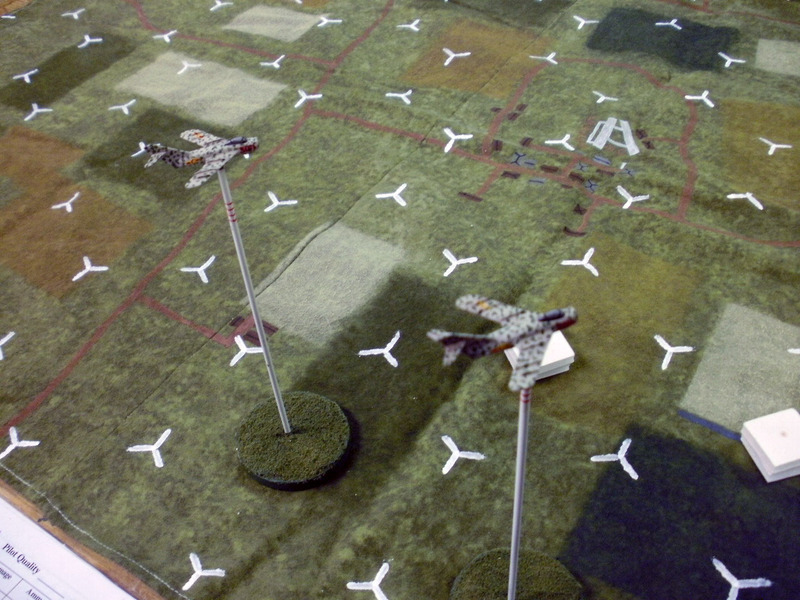 We use 1/300th aircraft and hex mats with five inch hexes along with the Phantoms air combat rules. 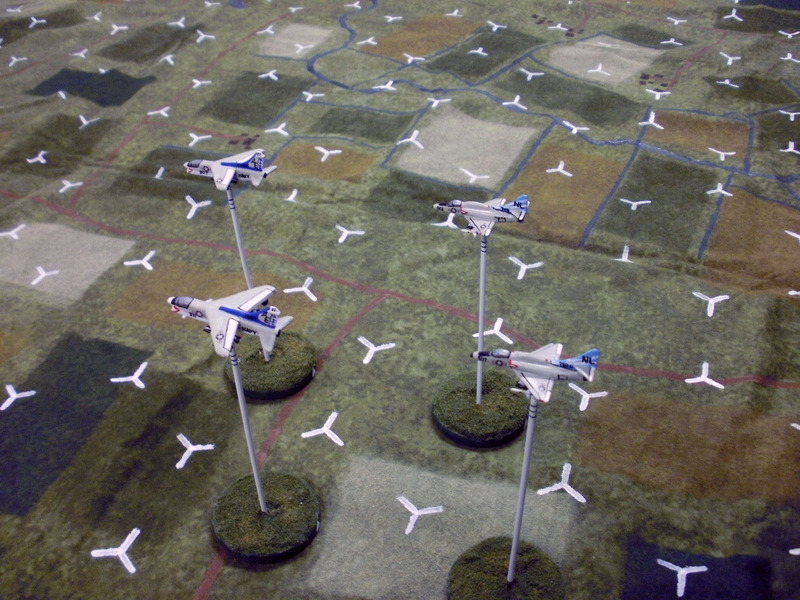 This combination has proven to be great for group games and provides a lot of fun, even if some gamers aren't necessarily into air combat gaming. 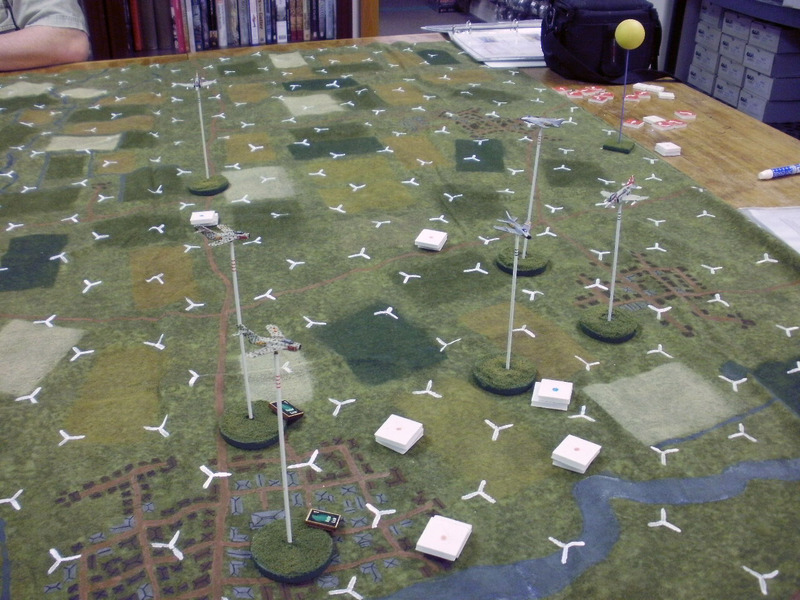 We stop at the end of the Vietnam era, because frankly, gaming anything after that involves a lot of complexity and it doesn't translate well to miniatures gaming. 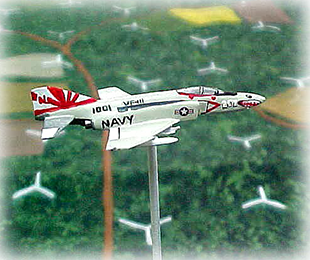 At this time we have a large collection of Vietnam era aircraft that enables us to set up USAF or USN scenarios, ranging from MIGCAP actions to Iron Hand and SEAD missions against AAA and SAM defenses. 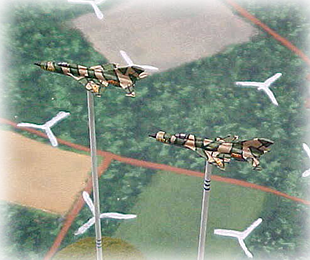 We will soon be running Korean air war scenarios as one of our current projects is to begin painting 1/300th aircraft for that era as well. We would also like to run some Arab-Israeli scenarios from the 1967 and 1973 wars, but that is probably still down the road a bit. Iran-Iraq is another conflict that could definitely be used with this set of rules and the terrain we have. 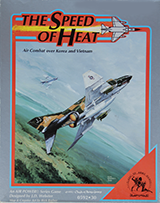 Many of us have been playing air combat games for quite some time, starting with games such as SPI's Foxbat & Phantom all the way to GDW's Air Superiority and more. 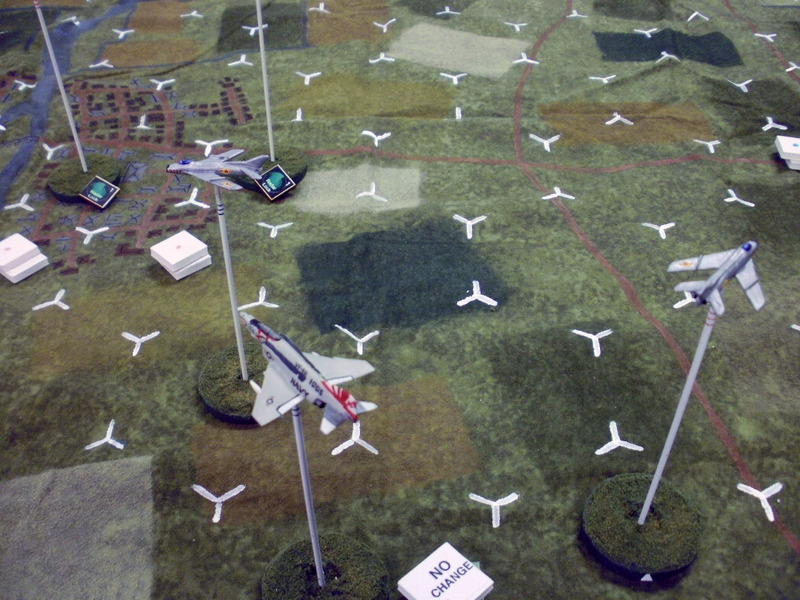 Complexity isn't an obstacle as a few of us have even experienced SPI's old Air War game! 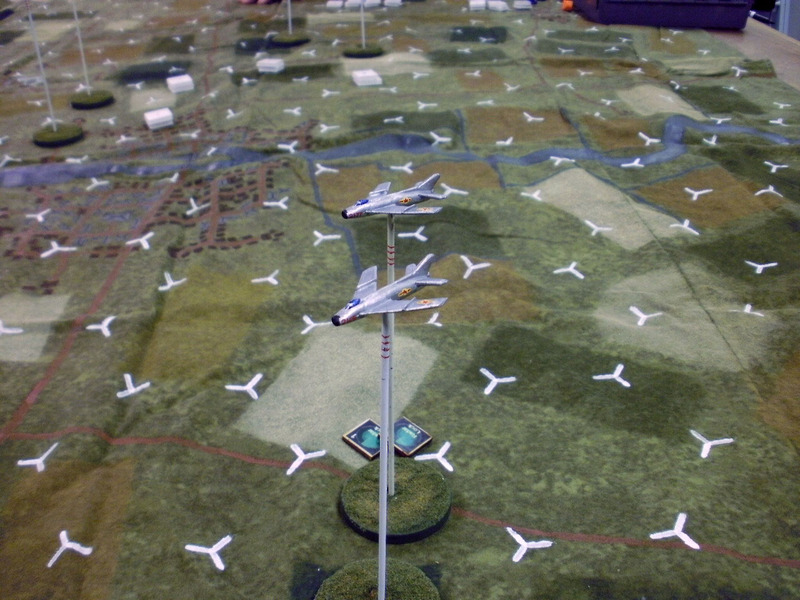 Jet combat has always been a favorite, so any chance to break out Phantoms for a Friday night is always welcomed! Although we prefer Phantoms for club nights, several of us are always open for other sets of rules or board games on the subject, so things could always change in the future!